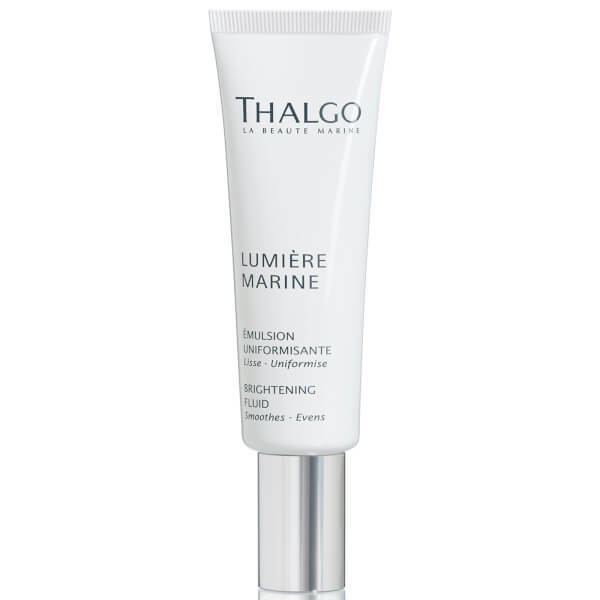 Drawing on the riches of the ocean to develop exceptional skin-enhancing products, experts in marine skincare and spa therapies Thalgo presents the Brightening Fluid; a fine fluid emulsion aimed at combination to oily skin, that zaps dull, tired skin back to life and targets uneven tone. 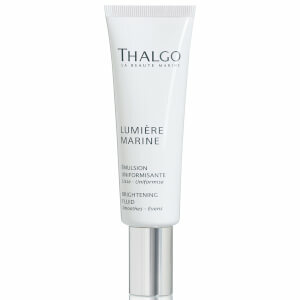 Melting rapidly into skin, the lighter version of the brand’s Brightening Cream (also from the Lumiere Marine range) unleashes the multitude of skincare benefits that antioxidant-rich Brown Algae extract has to offer, from hydrating and maintaining skin’s optimal moisture balance to fighting inflammation and firming loose skin. Enriched with anti-ageing polysaccharides extracted from Maize, the lightweight moisturiser forms a protective shield over skin to intercept damage caused by oxidative stress, whilst Yarrow extract promotes renewal to help smoothen skin. Applied to cleansed skin after toners and serums, the luxurious cream helps to prevent the formation of dark spots and pigmentation, and leaves skin visibly brighter and touchably smoother. Free from parabens, mineral oils, propylene glycol, GMOs or ingredients of animal origin (except Beeswax and Collagen). Apply in the morning before sunscreen, and in the evening. Aqua (Water), Neopentyl Glycol Dicaprylate/Dicaprate, Alcohol Denat., Dimethicone, Propanediol, Caprylic/Capric Triglyceride, PEG/PPG/Polybutylene Glycol-8/5/3 Glycerin, Sucrose Distearate, Steareth-10, Undaria Pinnatifida Extract, Balanites Roxburghii Seed Oil, Glycerin, Macrocystis Pyrifera Extract, Maris Aqua (Sea Water), Achillea Millefolium Extract, Hydrolyzed Yeast, Phenoxyethanol, Parfum (Fragrance), Pentylene Glycol, Acrylates/C10-30 Alkyl Acrylate Crosspolymer, Sodium Stearoyl Glutamate, Chlorphenesin , Hydrolyzed Hyaluronic Acid, Butylene Glycol, Sodium Gluconate, Sucrose Palmitate, Potassium, Hydroxide, Glycine Soja (Soybean) Oil, Tocopherol, Glycyrrhiza Glabra (Licorice) Root Extract, Xanthan Gum, Ethylhexylglycerin, Tocopheryl Acetate, Glyceryl Linoleate, Sodium Polyglutamate, Niacinamide, Biosaccharide Gum-4, Adenosine, Citric Acid.